So, this is the first movie where Salman Khan takes off his shirt and everyone. Salman Khan’s fully-earned performance in the movie and is ably supported by rest of the cast. The life story of Sulthan start with romance that he have towards Aarfa. Sultan (Salman) falls in love with wrestling champion Aarfa (Anushka), who tells him no ganwaar lacking a goal can win her. Sultan determinedly joins Aarfa's father's akhaara - the scene where he switches from 'Barkat bhai' to 'uncle' is fun - and trains so hard, he wins every championship and Aarfa's heart. But when Sultan wins the Olympics, he loses his head and in his arrogance, loses Aarfa and more. The only way Sultan can win Aarfa - and his own identity - back is by competing in entrepreneur Akash Oberoi's (Amit) Mixed Martial Arts (MMA) tournament. But can the desi wrestler, now overweight and broken-spirited, compete against the world's toughest judo, karate and capoeira champions? , to know that all you must to go to nearest theater and watch the show. 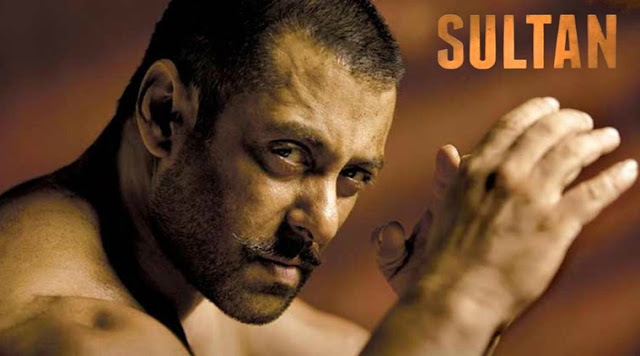 Salman gives a fighting performance, his character graph moving plausibly from a cheery, everyday "loojer" to a determined athlete, an arrogant star, a crushed, depressed, lonely guy. Hope so after NH 10, Anushka came in a angry bold women role, Anushka plays her familiar feisty girl, with a rustic twang and self-control, but fairly little change. The performance which really impresses is Sultan's friend Govind (Anant), who stands by his buddy through broken heart and crushed rib, charming throughout. Amit Sadh presents an attractive persona while Kumud Mishra, as Anushka's father and Sultan's guru, adds noticeable subtlety to the drama. Sultan's dialogues also "oopher" a Haryanvi kick while its visuals are fresh and attractive, swaying with Rewari's eucalyptus trees and gushing canals. Sultan is a classic Salman Khan vehicle in the skin of a sports drama imagining itself to be more profound than it really is. Doesn’t mean it’s not engaging, a lot of it is but, despite the possibilities, writer-director Ali Abbas Zafar relies solely on its main star’s drawing power and offers nothing novel in terms of storytelling. As far as the music is concerned, it could be called average as better songs would have empowered the film further. However, the peppy beats like 'Baby Ko Bass Pasand Hai' has turned out to be a chartbuster followed by the soft and romantic, 'Jag Ghoomeya' which too has gained a fair bit of popularity. The cinematography by Artur Zurawski is excellent and the action choreographed by Larnell Stovall is worth appreciating too. From the training sessions to the actual matches within the ring, SULTAN showcases brilliant wrestling moves with precision. The trouble is its length. At nearly three hours of runtime, Sultan gets heavy and repetitive - only so many training sequences can look sharp and by the time Randeep Hooda shows up as MMA coach Fateh Singh, resembling a perennially eating Brad Pitt from Ocean's Eleven, but overacting as he gets senti about Sultan, you become restive. By cutting 30 minutes of flab - running commentaries, kite-running, taalas, taalis - Sultan could've been a leaner, meaner movie. But this is for Eid festival, and die hard fans will not say anything if the movie is for 5 hours also. Eid and the number of shows smells a huge collection, and a box office record.